Baker is looking to continue its recent success on the field. Photo courtesy of Coach Matt Brunson. The 2015 schedule for Baker is about as standard of schedule you can expect from a Class 1A program. The strongest teams on the schedule, which will all be challenges, are games against Blountstown, Walton, South Walton and Northview. Liberty County however, will provide us possible playoff preview in Week 11, but that depends if the teams decided to rest any of their starters depending on playoff status that week. Overall, nothing is unusual for the Gators 2015 schedule. 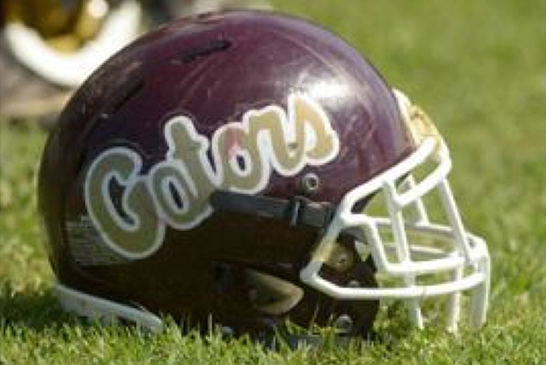 RELATED: For full dates and times on the schedule as well as other information, visit the Baker Gators Team Page on FloridaHSFootball.com. The Gators are coming off a 10-2 season in which they captured the District 1A-1 championship for the second straight season. According to Coach Brunson, the Gators will be rebuilding both the offensive and defensive lines this season. However, returning several skill players in Beck, Barto and Davis will provide some veteran experience the Gators will need to remain competitive in the Class 1A landscape and keep their playoff hopes alive in what is now a three-team district in 1A-1. The biggest rivalry for Baker is the battle with Jay in what is called the “War on Highway 4” Not only do the teams battle each year, it decides who will reach the playoffs and who will be on the sideline watching come November. Over the last five seasons Baker has gone 5-0 against Jay, but don’t let that fool you as some games have been barn burners, while other have been so close that Jay about tip the scale the other way. Northview, is also considered another big rival for Baker and rightfully so as it has come down recently between the two schools to decide the district championship in District 1A-1. Although Northview holds a 3-2 edge over Baker in games played the last five seasons, the Gators have won two consecutive over Northview in the last two seasons.